Errol: Ok, I’m super excited! Why?! Because I found out that Comic Rocket allows you to navigate the NaNoToons in ORDER! How awesome is that?! Now I don’t have to figure out how to put a decent navigation system on here because they will do it for me! HUZZAH! I am so happy. ^_^ Dance of joy. This entry was posted in 2013 and tagged dave, victoria. Bookmark the permalink. 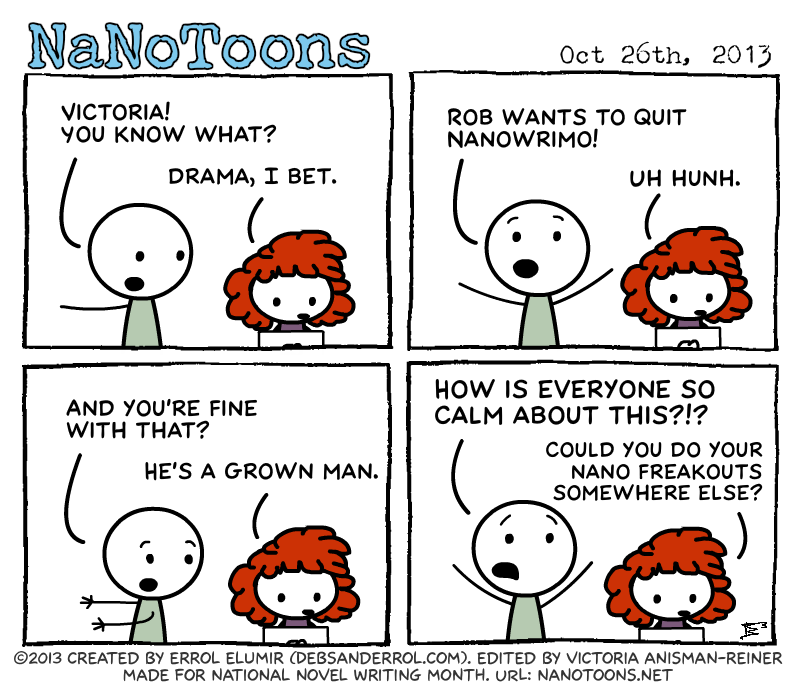 “Could you do your NaNo freakouts somewhere else?” =D Victoria, voice of sanity. I don’t know why but that spelling made me shiver in disgust. Hunh.